While you are travelling, you are free: free to unleash your imagination, roam unexplored frontiers of your mind, or at least create practical thinking time for new ideas, new solutions, new ways of doing in your life. Your Tube journey is a rare chance to incubate, to practice masterful inactivity, to reflect and use an imposed pause point in your thinking, allowing you to unleash your creative brilliance. It’s also an opportunity for what is called ‘exaptation’ – taking ideas from one situation to apply to another, particularly by using the story and experiences of the London Underground and apply them to any problem or challenge you face. Andy Green is an expert in developing creative thinking techniques. In his first title from the Flexible Thinking Forum imprint, he uses the London Underground system as a metaphor for harnessing your creative energies. 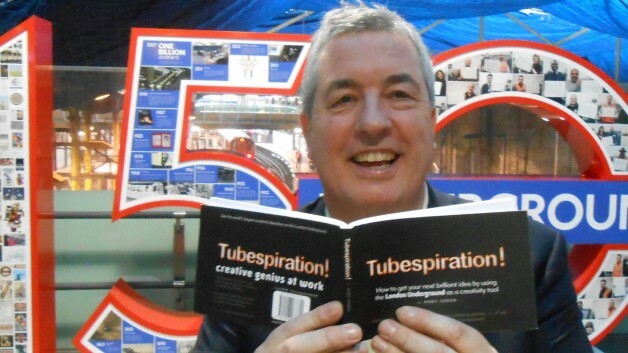 Tubespiration is released to coincide with the 150th anniversary of the London Underground. While you are travelling, you are free: free to unleash your imagination, roam unexplored frontiers, or at least create thinking time for new ideas, new solutions, new ways of doing. Your Tube journey is a rare chance to incubate, to practice masterful inactivity, to reflect and use an imposed pause point in your thinking, allowing you to unleash your creative brilliance. It's also an opportunity for what is called 'exaptation' - taking ideas from one situation to apply to another, particularly by using the story and experiences of the London Underground and apply them to any problem or challenge you face.